Australis became something of a legend and is remembered fondly by passengers and crew alike to this day. 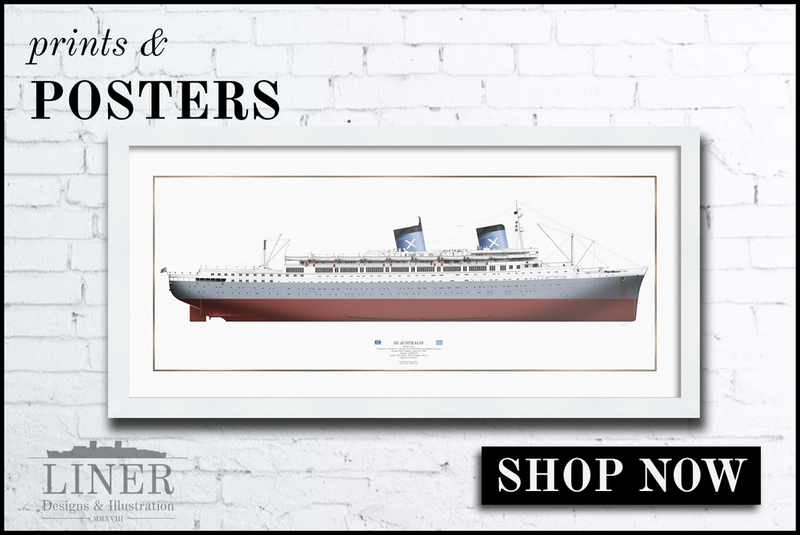 The ship was launched as ‘SS America’ just prior to the outbreak of war in 1939 when she served as a troopship. 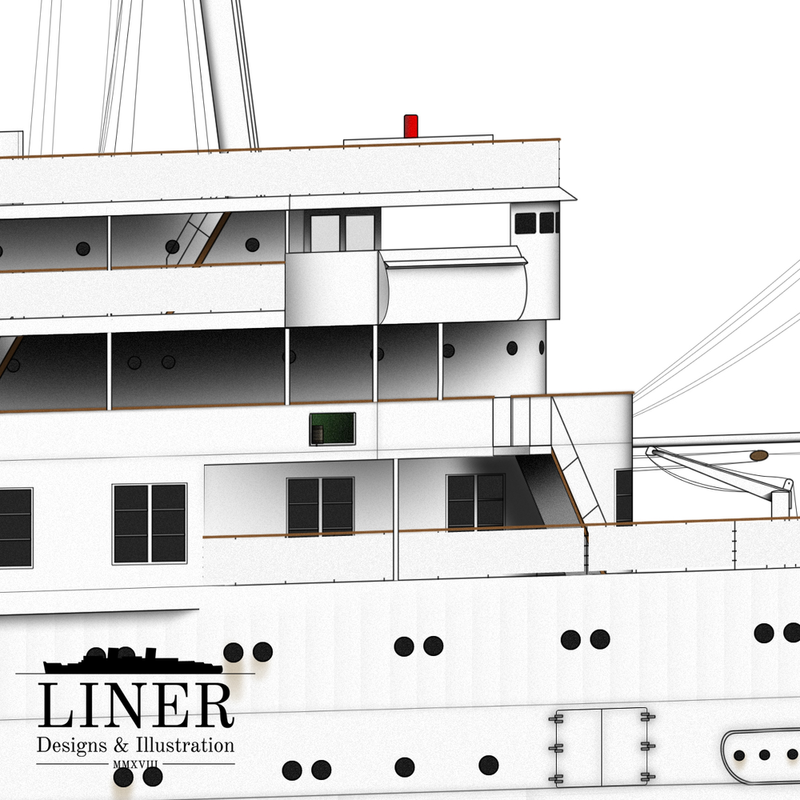 After the war she operated with United States Lines on the transatlantic run before being sold to Chandris for the immigrant trade - she was renamed ‘Australis’. The ship was the undeniable jewel in Chandris’ crown and served as their flagship, initially being painted all-white with a blue ribbon along her hull. 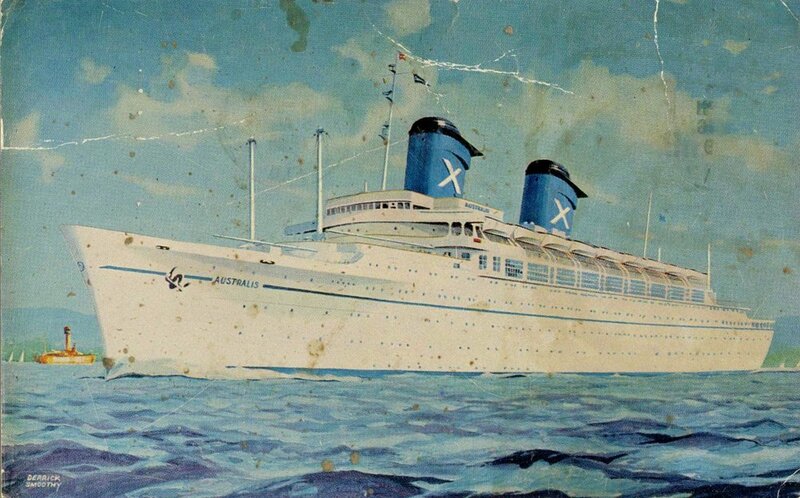 This is the original paintscheme and configuration which Australis displayed when she first went to work for Chandris in 1967, starting an amazing career on the immigrant run. This illustration of 'Australis' was completed over the course of four weeks from August to October 2018 by Michael C Brady and involved around 60 hours of drawing. Original plans and high-definition photographs were studied in order to maintain authenticity. Australis’ iconic funnels featuring the Chandris ‘Ch’ logo. The bridge and forward superstructure - elegantly rounded and featuring large floor-ceiling windows in public areas for optimal daylight use. It was common practice, when arriving at a foreign destination, to fly decorative flags from the signal halyards stretching across the boat deck. Australis’ gleaming white hull and blue ribbon made her stand out as Chandris’ flagship when first introduced.